One of the events we enjoy in our home is a weekly movie night. Its a pleasant way to unwind and relax while spending time together with loved ones. True stories put to film, when done well with great actors are not that easy to find. This intense drama features two of my favorite award winning actors: Russell Crowe and Al Pacino. 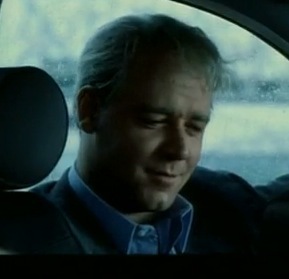 Crowe’s superb acting in The Insider impressively reveals what Dr. Jeffrey Wigand was up against as the central witness is one of the biggest tobacco industry lawsuits in history. It began with a court filing in Mississippi that lead to filings in 49 other states. Wigand was a top scientist who held discriminating inside information and when he choose to go public with what he knew the drama begins. His disclosure of deeply buried and publicly withheld tobacco industry knowledge in the end lead to a settlement of $246 billion dollars. Crowe’s performance was top notch and the unfolding story keep us on the edge of the couch. Lowell Bergman is a reporter that works with a Mike Wallace character (played by Christopher Plummer) of the “60 Minutes” TV show. The two men taped an interview with Wigand that revealed devastating statements against Big Tobacco and planned to air the show on 60 Minutes. Due to the power, potential threats, and corruption of Big Tabacco they also arranged a legal defense team for Wigand. Then the story gets very dicey just before this show is to air CBS corporate makes a decision to cancel airing the discriminating interview. This corrupt and courageous story goes on to reveal how Bergman and others fought to reveal the truth and facts Wigand held. These dramatic events fractured loyalties and lead to divisions within 60 Minutes. As the drama unfolds, Wigand was subject of a smear campaign of national attention and a lawsuit by Big Tobacco where he faced possible incarceration. Along with all the pressures he faced due to his decision to go public his marriage was deeply effected which lead to a divorce. One would hope that such a dramatic story would be based on fiction, but this was far from fiction. The amazing tenacity of Bergman and Wigand, two men fighting to reveal a devastating truth withheld by the almighty Big Tobacco is an extraordinary document of events. In the end neither character walked away unchanged, and their lives were never the same. By the time the movie ends you will have experienced so many emotional ups and downs. Its one of the greatest factual stories ever told, and its so well written, directed and acted. Be sure to queue The Insider at the top of your list. Here’s the trailer to see a peak view of The Insider. This entry was posted in In the News on May 11, 2013 by sanbreck. Cigarette smoking is a hard habit to kick. For those that succeed in quitting, whether it’s cold turkey or gradual, it’s important to remind yourself of the reasons why. Physical and emotional motivators can be the most powerful, and therefore most likely to help you abstain. While there are many known effects of nicotine abuse, such as cancer and shortened life span, some smokers overlook their oral health side effects.Oral health affects your entire body and it’s important to take care of your mouth. For those looking to quit, here are 5 powerful motivators to help you kick that habit! White, discolored, and bleeding gums are very common side effects seen in smokers. Healthy gums are naturally pink in color. Gingivitis, or periodontal disease, is common in smokers and causes tender, bleeding gums. Further, many cigarette smokers see their gums change to an off-white color. All of these are signs of unhealthy gums. The ingredients in tobacco products interfere with the normal function of tissue cells, which causes recession and even bone detachment. White gums can be painful and disrupt daily activities such as eating and drinking. Bad breath/Halitosis is a side effect of tobacco use. For cigarette smokers, bad breath is caused by both nicotine and a vitamin-C deficiency. After smoking, cigarette and smoke particles are left to linger in the throat and lungs. Further, because smoke dries out your mouth, it leaves a climate that facilitates bacterial growth. Basically, the smoke, the chemicals, and the lasting environment all contribute to chronic bad breath. Yuck! The type of oral cancer most commonly found is “squamous cell carcinomas”. These involve epithelial cells on the surface of the skin and can often spread very quickly. This is why it is imperative to know the warning signs for oral cancer and to act accordingly. The most common symptoms of oral cancer are tenderness, or sore spots. Lymph nodes, which are located at the top of your neck, will also become inflamed and tender. If you notice any of these symptoms, it’s important to go to your dentist or a health professional. Many smokers experience a dulling of taste and smell because breathing in the hot fumes of smoke is toxic to the senses. It’s normally the loss of smell that comes first, and as a result your palate is unable to detect as many flavors/sensations. While the loss of smell and taste is gradual, many ex-smokers have reported that their senses returned quickly after quitting completely. Yet another powerful motivator for those looking to quit. Presence of Leukoplakia, or white patches, which form on surfaces inside the mouth, tongue, and cheek. The patches themselves are defined as instances of keratosis, or the buildup of keratin on the skin. The causes of leukoplakia are relatively well defined. In broad terms, the keratin patches develop in response to prolonged irritation. The most common source of irritation that leads to leukoplakia is the use of tobacco. Whether smoked or chewed, tobacco is frequently attributed with causing the formation of the patches. While the patches are not generally harmful, they can cause discomfort and can easily be avoided. These 5 motivators are just the tip to the iceberg when it comes to your health and negative side effects from cigarette smoking. While nicotine is a real addiction, keeping perspective and using motivators, such as your health, can help you achieve your goal to quit smoking. About the Author: Alexis Goodrich publishes a dental health blog, BestDentistGuide.com, and you can also follow her on Twitter for all things dental @thedentistguide. This entry was posted in Smoking Related Diseases and tagged leukoplakia, loss of taste and smell, oral cancer causes, unhealthy gums on April 29, 2013 by sanbreck. The consumer demand for cigarettes has been decreasing, and Big Tobacco companies are looking to fill these sales gaps with cigarette alternative products. This includes cigars, chew, snuff, and nicotine replacements. As the dangers of second-hand smoke becomes more prevalent, most areas have in place smoking bans in public places. Big Tobacco companies are seeking out new products to keep addicted smokers dependent on their habit. Wikipedia defines the newest nicotine delivery devices as dissolvable tobacco products. Dissolvable tobacco products carry a significant risk of nicotine addiction and even poisoning if consumed by kids or teens. Additionally, these products have similar cancer and heart disease risks as traditional tobacco products. Flavored—to make them taste “less harsh”—as well as dissolvable, these products are made from “finely milled tobacco” and are ingested similar to breath mints. The FDA’s Center for Tobacco Products (CTP) has expressed its concern with these products to Big Tobacco companies R.J. Reynolds Tobacco Co. and Star Scientific Inc. Because the packaging is brightly colored, appearing like a candy product, and small enough to be easily concealed, the CTP questions the appeal of these products to kids and teens. The CTP has asked both companies to provide research and marketing documentation on the perception people aged 26 years and younger have towards these products, the age of new users, and information on product misuse. Star Scientific Inc. manufactures the dissolvable tobacco products Ariva and Stonewall. These products, similar in appearance to breath mints, come in wintergreen, coffee, and tobacco flavors. A Star Scientific spokesperson points out that these products provide adult users a tobacco alternative, but are not made to be attractive for non-users. R.J. Reynolds Inc. produces Camel Orbs (tablets), Camel Strips, and Camel Sticks (toothpick style), all available in mint flavor. A spokesperson for the company stated that not only are their products strictly market to and designed for adults, but they carry the same warnings and age restrictions as other tobacco products. Camel Orbs are currently being test marketed in Columbus, Ohio, Portland, Oregon, and Indianapolis, Ind. This entry was posted in Nicotine Addiciton Dependence and tagged ariva, big tobacco, camel, cigarette alternatives, dangers of secondhand smoke, dissolvable tobacco products, fda, kids and nicotine, nicotine addiction, nicotine delivery device, nicotine replacements, rj reynolds, smoking bans, star scientific, stonewall, tobacco on December 2, 2011 by sanbreck. Many people are plagued with chronic headaches and migraines and are mystified by what causes them. One probable cause could be second-hand smoke and, if you are a smoker, the act itself. A visit to WebMD.com Migraines and Headaches health center explains how the nicotine contained in tobacco, when inhaled, will stimulate the blood vessels in the brain, causing them to constrict or narrow. Smoking a cigarette will also cause the stimulated nerves in the back of the throat to magnify the problem. Studies have also shown that cluster headaches—or headaches that keep returning for a period of time, such as two or three times a day for a week or even months—caused by second-hand smoke exposure were fully relieved once the migraine sufferer was no longer exposed to smoke. Smokers suffering from cluster headaches have also found their headaches were reduced by 50% when they reduced smoking from a pack a day to half a pack, or by 50%. Doesn’t it make sense that quitting entirely could take care of the problem? If you find headaches of any form a problem and all physical factors have been examined and ruled out, then toxicity in your body could be the leading cause. If you are a cigarette smoker and are brave enough to smoke, then you should be brave enough to see the effects of a cluster headache. The following video will give you another reason to stop smoking now. This entry was posted in Smoking Related Diseases and tagged adverse health effects of smoking, cluster headache, dangers of secondhand smoke, effects of nicotine, effects of smoking, headaches, migraine, nicotine, reasons to stop smoking, secondhand smoke, tobacco on September 9, 2011 by sanbreck. If you are a smoker who just doesn’t want to quit, then you are subjecting yourself to a shorter life span than average. By continuing to smoke, you have a greater chance of losing 10 years off your life, time that could be spent with your loved ones. You also subject yourself to a general decline in health during those last years of your life while you are afflicted with one or several health complications as a result from smoking. These are health struggles that you also subject your loved ones to witness. Is it worth it? Now that you know that a long-term smoker, on average, has a life expectancy of about 10 years less than a non-smoker, it is time to seek support and help to stop smoking now. If you have smoked since your teen years or young adulthood, your chances of reversing any damage is significant. By stopping before the age of 35, you greatly improve your risk of any damage compared to people who have never smoked. If you choose to stop smoking prior to the age of 50, the risk of dying from smoking-related diseases decreases by fifty percent. You can decrease that even further by making better health, nutrition, and diet choices. Quitting smoking not only dramatically improves your overall life expectancy, but it can improve your general well-being and overall health. No matter what your age or how long you’ve been smoking, it’s never too late to quit. If you are hard-headed and need greater evidence on the decrease in life expectancy of smokers, take a look at this very long list of celebrities whose shortened life spans were caused from smoking tobacco. As you can see, so many talented individuals died much earlier than the average life expectancy. And those who lived until their 80s struggled through many years of health afflictions—such as heart attack, emphysema, lung cancer, and throat cancer—due to their dangerous addiction to smoking. Celebrity or not, no smoker is immune from smoking-related illnesses or even death. This entry was posted in Smoking Facts and tagged benefits of quitting smoking, deaths caused by smoking, emphysema, life expectancy of smokers, long term smoking, lung cancer, quitting smoking, risk of heart attack, smoking related illnesses, smoking risks, tobacco related deaths on September 2, 2011 by sanbreck. September 22, 2012 marks a monumental change in the appearance of cigarette packaging in the United States. At this time, new warning labels must appear on all cigarette packs. Each warning targets a specific danger of smoking with a graphic color image that communicates the intent of the warning. There were 9 significant warnings decided upon out of the initial 36 proposed in November 2010 when the label revamping ruling selection began. Part of the process included a time of evaluating public comments. On September 22, 2012 big tobacco manufacturers will no longer be able to distribute cigarettes in the United States unless their package designs display the one of the 9 warning labels. The final selection of 9 FDA cigarette warning labels hope to target youth smokers making them more aware to empower them to never start smoking. The labels also increase awareness of the some of the health risks and diseases related to smoking by providing a graphic incentive to appeal to smokers to get them to quit. Since research suggests that nicotine is as addictive as heroin, cocaine, or alcohol and that the frequency of smoking is often what prevents people from quitting, a strong intent behind these graphic labels is that perhaps each time someone picks up a pack, the image could put them over the edge into the say no or quit category. Tobacco smoke can harm your children. Cigarettes cause fatal lung disease. Cigarettes cause strokes and heart disease. Smoking during pregnancy can harm your baby. Tobacco smoke causes fatal lung disease in nonsmokers. Along with each of the warnings are corresponding smoking facts that give smokers a lot to think about. We can’t help but think how many lives would have been different had smokers truly been informed of the dangers of inhaling tobacco smoke before they picked up their habit or exposed others to the toxic fumes. I think only those with a death wish would have started smoking or exposed their loved ones. Just recently, we received this heartbreaking letter from a caregiver taking care of a parent who developed serious health problems brought on from smoking and died a horrible death. Should we all have the choice of a better quality of life? She had gangrene in her little toe. That’s how it all started. She needed surgery to unblock her right carotid artery. It was discovered that her circulation was completely blocked from her right hip to her foot. The surgeons unblocked the arteries and put stents in. Her toe even healed, but she wouldn’t quit smoking. When she started showing signs of the same problem, I made her quit. We got into huge arguments, but it was already too late. They ended up amputating the entire front of her right foot. Every day, I had to change her bandage at least twice. I had to flush this gaping, horrific wound, put antibiotic cream over it, then re-wrap it in clean gauze. Every night, I had to listen to her beg me for more pain medication that I could not give her. After three months of hell, the doctors amputated her right leg below the knee. This wound healed, but her independence had been seriously compromised forever. Her ability to breathe was rapidly deteriorating as well. Near the end of March 2010, she said she needed to go to the hospital because she couldn’t breathe. Five minutes more, and they would have had to intubate her. They put her on steroids to help reduce the inflammation in her seriously damaged lungs. A few days later, they did a bronchoscopy and suctioned a bunch of crap out of her lungs. She was sent to a nursing home to recoup. The steroids raised her blood sugar and made insulin necessary. They also caused her to gain a significant amount of weight, which further hindered her ability to breathe. Right before she was due to come home, the nursing home sent her to the ER. When my best friend and I arrived, she wasn’t in any distress. Mom really wasn’t sure why they had sent her at all. Unfortunately, sitting on the gurney for so long caused a massive cramp in her hip. She went into respiratory distress and deteriorated rapidly. She wound up staying in the hospital for a week. That’s when her doctor called and told me that there was no way I would be able to handle her care on my own anymore. He ordered her to be placed in a nursing home. You don’t even want to know the hell that the two of us went through with that place. She had pneumonia in December of 2010. When she had sufficiently recovered, they had to amputate her left leg below the knee as well. The Saturday before she died (she died the week of Easter Sunday), I went to pick up her laundry as usual. She was sleeping, but very restless. She cried out in pain and sat straight up in bed. I asked her if she was okay. She said yes. I asked her why she hadn’t eaten any of her dinner yet (her tray was untouched, unusual for her). She picked up her fork and started pushing the food around. “I’ve been eating” she said. I went to fill her pitcher with fresh ice water. I came back and she was sound asleep again. I asked the two aides in the room how long she had been like this. They shrugged and said, “She’s been making those funny noises all day.” I explained to them that only once in a while was normal and that they should be a ‘tad more concerned’ (I was being very sarcastic, of course). I went out into the hall to speak with the nurse, who informed me that Mom had been complaining of pain in her right hip, so they gave her (insert name of a narcotic pain pill here). I shook my head ‘no’, and told the nurse that the only pain reliever her doctor had ever approved was regular-strength Tylenol. Narcotic pain pills suppress the breathing too much in people with COPD. She said that’s what the doctor had ordered. Turns out it wasn’t her doctor, but the doctor on call. Tuesday morning at 6:30 a.m., the phone rings. Mom’s eyes were open, but she was non-responsive. By the time my brother and I reached the hospital she was already gone. To have to see her laying on that gurney just about killed me. I honest to god don’t think I’m going to get through this. I am beyond furious that these companies can literally get away with murder. Nobody you love should have to die the way my mother did. I did everything in my power to make her well. I failed. I don’t think I can live with that, especially since I’m about to lose our house and everything my family ever owned. I am terrified out of my wits. Sorry this is so long…I just needed to talk. There’s so much that I left out of this…so much more. Never have I known a hell like what we had to go through. It just isn’t right. It is our hopes that you will pass on this article on to others who are enticed to smoke, or your loved ones who do. Sometimes a wake up call like this true story can make a huge difference. This entry was posted in Smoking Facts, Tobacco Regulation and tagged cigarette warnings, dangers of cigarettes, dangers of smoking tobacco, deaths caused by smoking, fda tobacco warning, smoking danger to unborn baby, smoking deaths, smoking related amputations, smoking risks, tobacco deaths, tobacco you killed my mom on July 22, 2011 by sanbreck. Sorry to say, but we are not making this stuff up. We were researching internet statistics on how many women and men will not date a smoker. They are turned off by the awful ashtray taste and breath odor and wouldn’t think of kissing someone who repels them. When googling the phrase “kiss a smoker,” we found listed among the top choices a web page advertising a brand of cigarettes completely designed to entice women and young girls to purchase them to become sexier. At first, I thought the title and description couldn’t be real. It had to be a spoof, right? NOT. Kiss cigarettes are produced under the supervision of the British “Innovation Tobacco Company” using the best tobaccos Virginia and Barley. “Innovation Tobacco Company” cooperates with world’s biggest suppliers, which guarantees high quality of all components of Kiss Menthol cigarettes. Discount Kiss cigarettes are created by the excellent cigarette’s foreign specialists. Kiss cigarettes are manufactured under control of foreign cigarette specialists. Quality is executed at every technological stage level. The secret of the high-quality of Kiss cigarettes is in the balanced selection of discount cigarettes tobacco leaf, cultivated in various corners of the planet like Greece, Brazil, Argentine and Malawi. Kiss cigarettes blend trend—American blend—is the most popular and fashionable nowadays. Kiss Superslims cigarettes brand answers the girls’ wishes to be economic and offers a very reasonable price. Kiss cigarettes are for those who feel young, bright, self-confident—and a bit crazy! If you want to see who is getting rich at the expense of young girls and women’s health, check out > Innovative Tobacco Product’s annual report. This entry was posted in In the News and tagged big tobacco ads, innovative tobacco products, kiss cigarettes, teenage smokers, tobacco ads, tobacco advertising, tobacco company profits, young women smokers, youth smokers on May 7, 2011 by sanbreck. Not Stopping Smoking, So What’s Your Excuse? A smoker can have all the reason in the world to quit, but still be able to come up with an excuse not to. There are many excuses smokers hang on to in order to avoid smoking cessation. Some of the reasons smokers use include fear of physical, emotional, and interpersonal stress. But excuses are not reasons. I don’t want to get fat. Some people may gain weight after quitting smoking, but once cigarettes are no longer an unhealthy lifestyle habit, new habits can be adopted—like healthy eating and regular exercise. Some people are just smokers, and I’m one of them. It doesn’t matter how long you’ve smoked or how old you are, you can be someone else other than a smoker. Your body will undergo significant transformations as well: after 24 hours of being smoke free, the carbon dioxide levels in the body will disappear, and after one year the risk of heart attack will be cut in half. I smoke when I’m out with my friends. It can be intimidating to change one’s lifestyle, but finding a quit-buddy will help with motivation and temptation while encouraging a different social atmosphere. Stress is a normal part of everyone’s life and there are other ways to deal with it other than with cigarettes. My grandparents smoked until they were 90. This is nothing more than a random example of luck. Besides, it’s not just the length of one’s life, but the quality. I don’t smoke very much anyway! Every cigarette smoked, whether it’s one a day or fifty a day, has the same chemical composition and the same negative health consequences attached to it. I smoke ‘Light’ cigarettes, so it’s okay. Light cigarettes are still dangerous, and maybe even more so in some cases because of additional additives. The label should never be used to justify smoking. Yes, it is, and no one who’s done it would disagree. But quitting is not impossible. There are many more excuses smokers use to justify why they haven’t quit or haven’t tried to. But always remember that an excuse is never a reason. This entry was posted in Quit Smoking Stories and tagged excuses for not smoking, reasons to smoke, smoking excuses on February 21, 2011 by sanbreck.